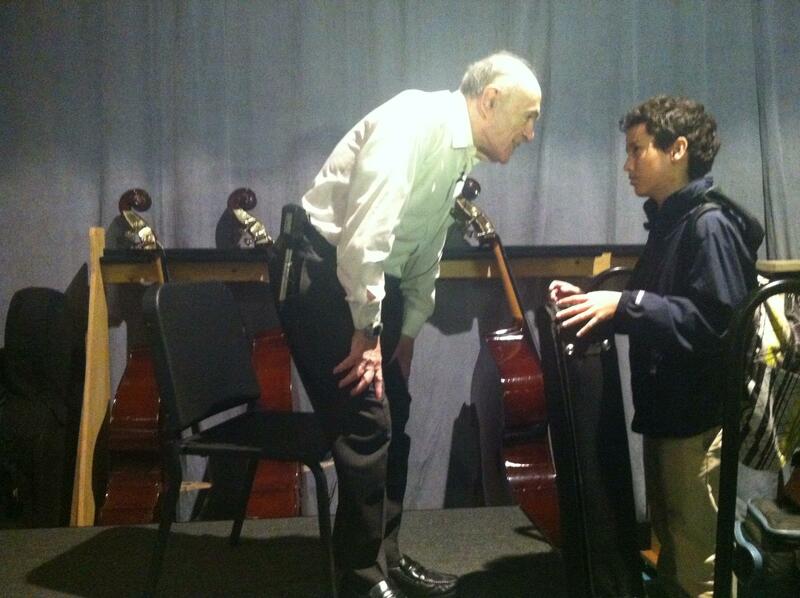 Samuel Marder speaks to a fellow violin player and Miami Arts student after his presentation. "I was sitting next to my really good friend and she was almost crying because she thought it was so beautiful," Crewsberkowitz says. "The way he's so much older than we are and he still relates to the way he felt when he was a child. That's how badly it scared him. It was just so sad to hear that but so beautiful to see how he was able to talk to us now and that he escaped." Marder was 10 years old when he and his family were forced out of their home in what is now Ukraine and into a concentration camp. After the war, he came to the United States and studied music in Manhattan. He now spends his time traveling to schools relaying a message of peace to students. "Their whole outlook will change once they’re aware that bullying and prejudice can lead to unimaginable tragedies," Marder says. "From bullying, the road to hatred and the road to murder is not terribly long." Fifteen-year-old high-school student Maria Davila found his words relatable. 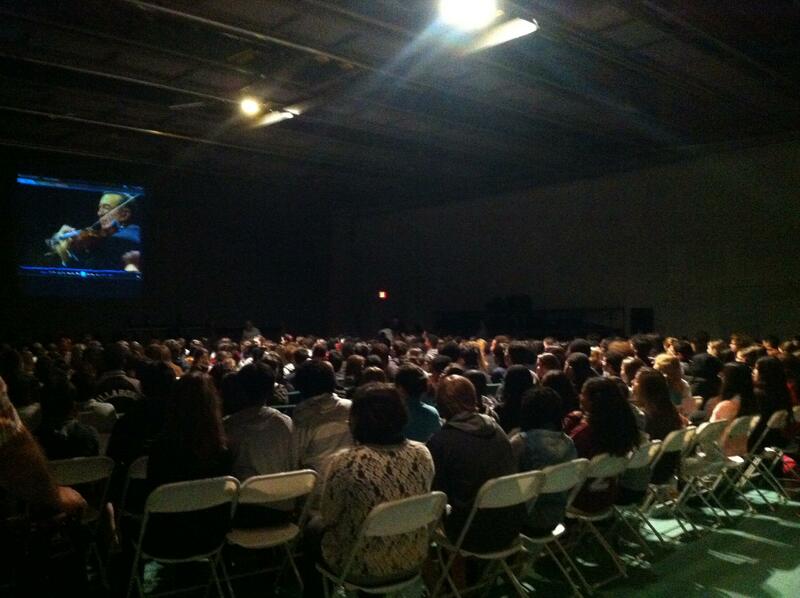 Miami Arts high school students watch one of Samuel Marder's performances. "It brought up a lot of thoughts on my past. Not because I’m related to anything with the Holocaust but I’ve been bullied a lot and I went through a tough time," Davila says. "Mr. Marder is the type of guy that just restores faith in humanity to people like me who have somewhat lost it." Marder recently wrote a book of short stories and poems that he based on his life experiences. He will be at the Books & Books at Bal Harbour at 6:30 p.m. Thursday, Jan. 6, to read excerpts from the book. Fairchild Tropical Botanic Garden in Coral Gables kicks off its second GardenMusic Festival Thursday, Jan. 9. The event features everything from chamber music, to jazz, folk and even Broadway standards. Members of Sixth Floor Trio, the group that developed the musical program for the festival, say that’s by design.